Xci 286 is an energy-efficient rigid foam insulation composed of a polyisocyanurate foam core manufactured on-line to glass fiber reinforced foil facers. It can be used in new construction, or used for interior retrofit within existing buildings. Xci 286 is designed for exposed interior wall or ceiling use in a variety of applications, including metal buildings. 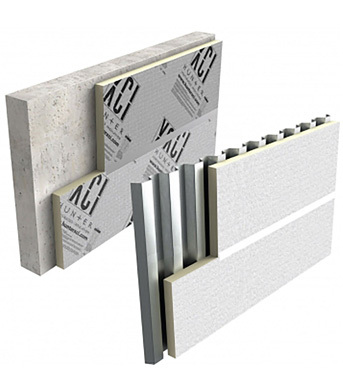 Xci Foil (Class A) is an exterior wall insulation panel composed of a Class A rigid polyisocyanurate foam core manufactured on-line to reinforced foil facers on both sides. 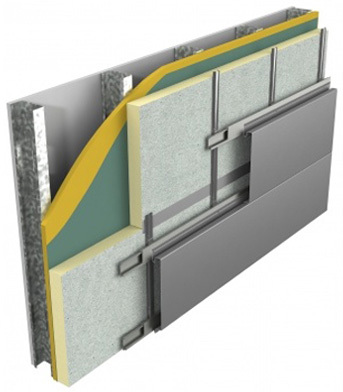 It is designed for use in commercial wall applications to provide continuous insulation within the building envelope. 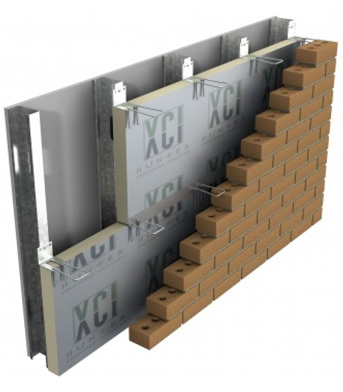 Xci Foil is a high thermal, rigid building insulation composed of a closed cell polyisocyanurate foam core bonded on-line during the manufacturing process to an impermeable foil facing material. It is designed for use in commercial cavity wall applications to provide continuous insulation within the building envelope. Designed for use in continuous insulation to assist in meeting the most current ASHRAE 90.1, IECC, IBC and IRC standards. Lightweight yet durable, easy to handle. Cuts with a knife or saw. For NFPA 286 compliance information, email us: info@therm-all.com.